July 17, 2018 London – Azerbaijani national air carrier was once again confirmed the prestigious "4 Star" rating by the world’s leading assessor of airline and airport service quality British consulting company Skytrax. This means that Azerbaijan Airlines (AZAL) is rated along with recognized leaders of the global aviation market in terms of service quality. In addition, Azerbaijan Airlines became the winner in the nomination “Best Regional Airline in Central Asia and India”. Azerbaijani national air carrier was awarded such a high rating by Skytrax for the first time. The award ceremony of the World's Best Airlines was held on July 17, 2018 at the official event of the World Airline Awards in London. “We are honored and highly recognized for once again to receive this prestigious award from such a reputable organization as Skytrax. The high international rating of Azerbaijani national air carrier is an indicator of the great attention and concern of President Ilham Aliyev to the sphere of civil aviation. We will continue to work on improving the service quality" - said the President of Azerbaijan Airlines Jahangir Askerov. 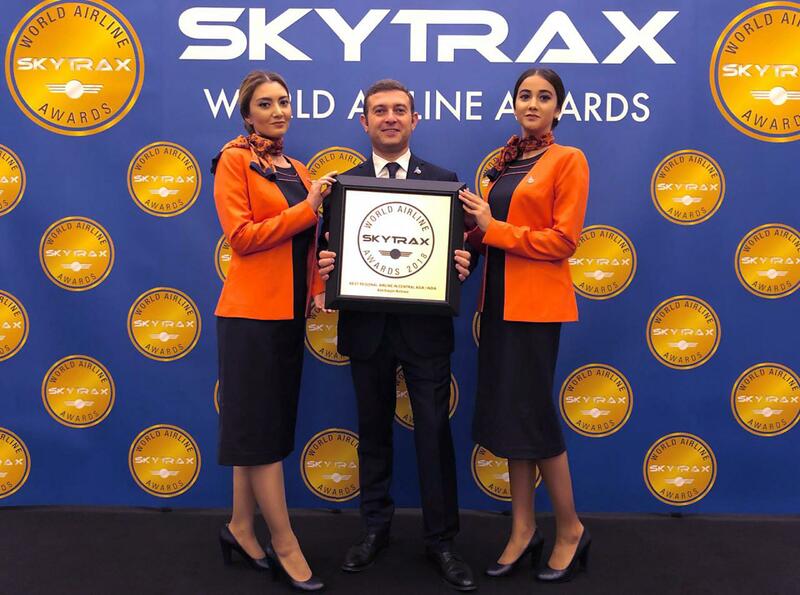 Commenting on the Awards, Edward Plaisted, CEO of Skytrax said: "It is fabulous to see Azerbaijan Airlines win this award for Best Regional Airline in Central Asia/India. The airline clearly continues to delight customers from its 5-star home airport in Baku, where the airline is developing a burgeoning reputation for product and service excellence." Before AZAL was awarded with "4 Stars" rating, independent international auditors established the rating of the company, based on more than 800 criteria covering service quality and staff work standards. Such components, important from the point of passengers, as an airline's website and its contents, convenience of online booking and other services were asserted. Detailed assessment was also carried out on such issues as the cabin's condition, its design and cleanness, board entertainment, crew uniforms, crew's attitude to the passengers and operating efficiency. Aside from that such issues as duty free service, aircraft log book contents, quality of on-board catering and seat comfort were asserted as well. It should be noted that in May 2018 Heydar Aliyev International Airport was awarded the maximum category of "5 stars" in Baku thus made the list of 9 world’s best and the first among all post-Soviet countries according to the Skytrax World Airport Awards.